In 2009 the Moscoloni brothers gave life to The Natural Dub Cluster, a primarily live performance mixing electro dub, bass music and visual experiments. 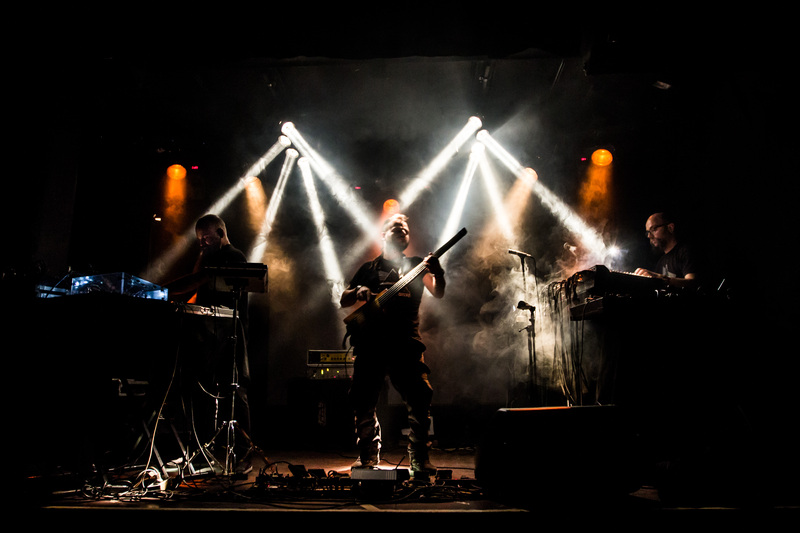 The debut album, Negentropy (2010) which has been defined as a “technosophical” concept and produ-ced by Paolo Baldini, stemmed into four live European tours. 2014: 130 live shows later, In Deep was released by Bloody Sound Fucktory and Elastica Records, once again produced by the impeccable Paolo Baldini. In this album the sound becomes more gloomy, introspective and monolithic, and with the new tour the doors of Eastern Europe are opening with several concerts in Slovenia and Croatia culminating with the presence at Seasplash ’15 in Pula (Croatia). In 2015 the “Clusters” remix Political Things, Zion Train, for the Elastica Remixes compilation, and begin the studio work for the B-Deeper production. 2016 was a fundamental year for the band, from featuring in Wake Up, a compilation by the French label ODG, to the release of B-Deeper, again for Elastica Records. In this album several artists of the dub and electronic scene dismember and recompose the tracks from In Deep album in their unique style. In 2017 the “Clusters” returned to the studio to generate a remix of “Dry Your Tears” by Zion Train for a new Elastica Records compilation. 2018: it’s time for Biosfear (Elastica Records / 4Weed Records).